Description: KVS (Air Force Station) Vadodara invited PGT & PRT posts. 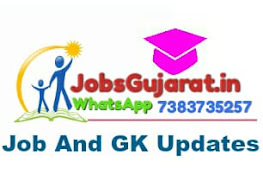 Kendriya Vidhyalaya Sangathan – KVS, Air Force Station, Vadodara published an official notification for Recruitment of Post Graduate Teachers (PGT) & Primary Teacher posts. Eligible candidates can apply for this recruitment. You can view more details about this recruitment including No. of posts, name of post, Educational qualification, Age limit, Selection process, How to apply etc… You can also view official notification and other important facts about this recruitment e.g. Important links and Important dates. Senior Secondary School Certificate with 50% marks or Intermediate with 50% marks or its equivalent & certificate in basic teachers’ training of duration of not less than two years. Pass in the Central Teacher Eligibility Test-I-V(CTET) conducted by the CBSE in accordance with the Guidelines framed by the NCTE for the purpose. Competence to teach through Hindi & English media. Note: In the absence of CTET qualified candidates, candidates without CTET qualification may be considered if otherwise eligible as per KVS recruitment rules. PGT (Economics) – Economics/ Applied Economics/ Business Economics. Proficiency in teaching in Hindi and English media. Final Selection will be based on personal interview.